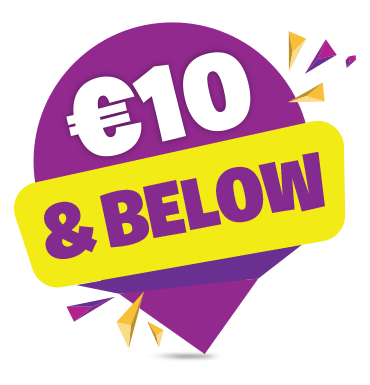 Discover great value toys and games in our €10 and below range. At Smyths Toys Superstores, you can find amazing toys that won’t break the piggy bank. We have an incredible range of pocket money toys and birthday party gifts for €10 and below. Our toys under €10 offer hours of fun at pocket money prices. Explore action and adventure, arts and crafts, dolls and games, to find birthday party gifts and pocket money favourites that kids will love. Get great value toys for your pocket money with the €10 and below range.